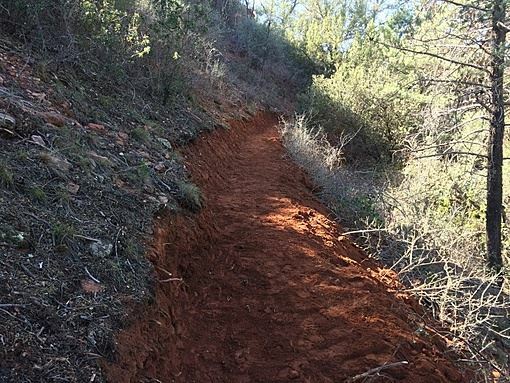 The Sedona Red Rock Trail Fund (SRRTF) was established as an Arizona non-profit corporation in 2013 by local citizens recognizing trail maintenance and enhancement is critical to the protection of our precious Red Rock trails. 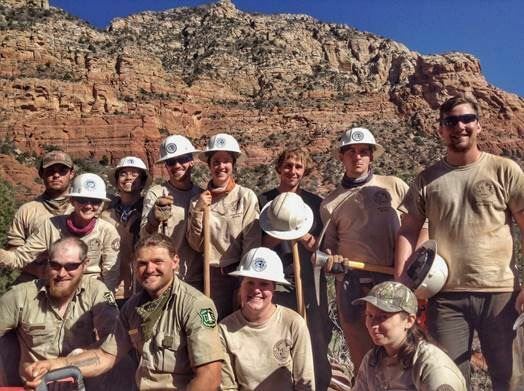 The SRRTF has provided over $400,000 to the Red Rock Ranger District (RRRD) since inception to hire seasonal crews to perform critical maintenance tasks and construct new trails. 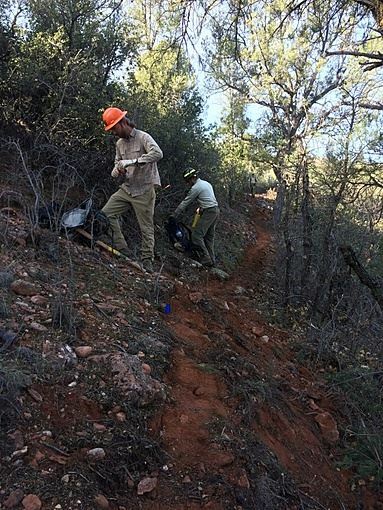 The Sedona Red Rock Trail Fund defines "maintenance" as constructing, reconstructing, maintaining, enhancing or improving official non-motorized trails and trail systems on National Forest land near Sedona and the Village of Oak Creek. The RRRD struggles with declining budgets and relies on local public-private partnerships to make sure that everyone has access to high quality, safe, well maintained trails. During our first full year of operations in 2014, we provided a maintenance grant to the RRRD in the amount of $8,994 to help fund the hiring of seasonal trail crew. This amount has grown each year and now exceeds over $100,000 annually. 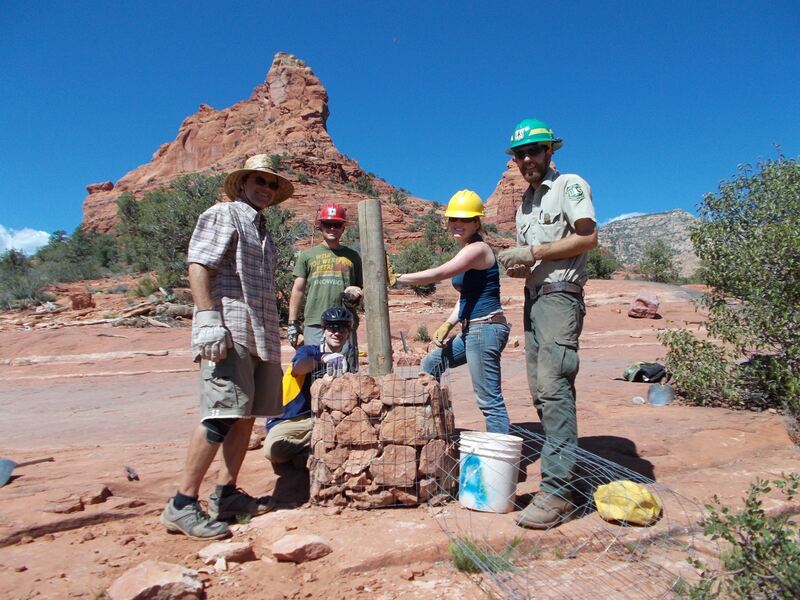 In the most recent year, the Sedona Red Rock Trail Fund has funded five of the seven seasonal trail crew members. On May 31, 2018, District Ranger Nicole Branton signed the Red Rock Trails Enhancement Decision Memo authorizing a system of trails in the Western Gateway area, located west of Sedona and north of State Route 89A to be developed by improving and adopting 11 miles of user-created routes combined with construction of 15 trail miles and re-routing 2.8 miles of trail to create a ~29 mile multi-use trail system. Ground broke on the project on November 8, 2018 with the first of a series of 12 volunteer trail work days co-sponsored by the Sedona Red Rock Trail Fund through a generous grant from REI. 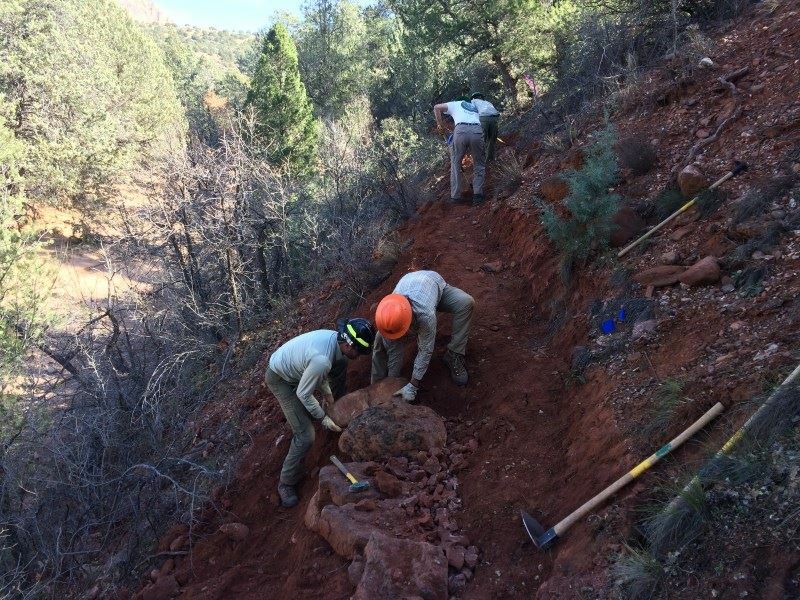 On January 9, 2019, two four person youth crews from the American Conservation Experience in Flagstaff will begin construction funded by the Sedona Red Rock Trail Fund through generous grants from the National Forest Foundation and the Verde Valley Cyclists Coalition.